The stock was volatile since the print last night, trading down 9% before the conference call, going unchanged by the end of the call, up 3% this morning and flat as I write at 11:30am. Yesterday I previewed the earnings report here and offered a couple of ways to play into the print. But regular readers know we are not huge fans of taking long premium trades into events like earnings as options premiums can be very elevated like they were into NFLX’s earnings last night. The options market on last night’s close was implying a move today of $26, as I write the stock is down $1. If you bought the weekly at the money straddle (the call premium + the put premium) playing for at least a $26 move in either direction you are getting destroyed today. If you bought just the weekly at the money call or the at the money put playing for a move in one direction you needed at least a $13 move today or tomorrow to merely break-even, also getting destroyed. Which is why I generally like to wait and see what the news is. A failure here could put $300 in play in the coming months. So what’s the trade? 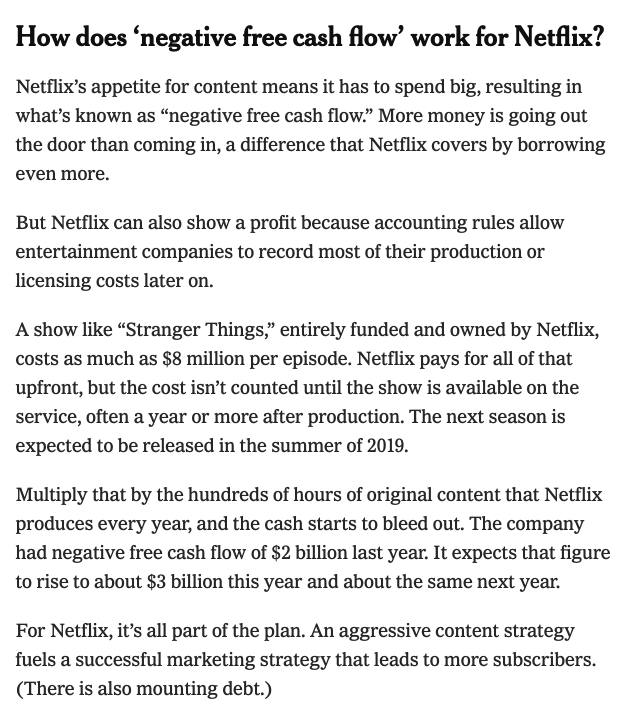 I have a couple of ideas here for those who think Disney’s offering will weight on bullish sentiment for shares of NFLX, one near term, and one looking to leg into a trade into the second half of the year when Disney finally launches it’s Disney+. Profits of up to 38 between 338 and 300 with a max gain of 38 at 300 or below. Losses of up to 12 between 338 and 350 with max loss of 12 at 350 or higher. Rationale: this trade idea risks 3.3% of the stock price with a break-even down 6% (which was below the implied earnings move) and offers a profit potential of 10.5% if the stock is down 16.5% in two months. 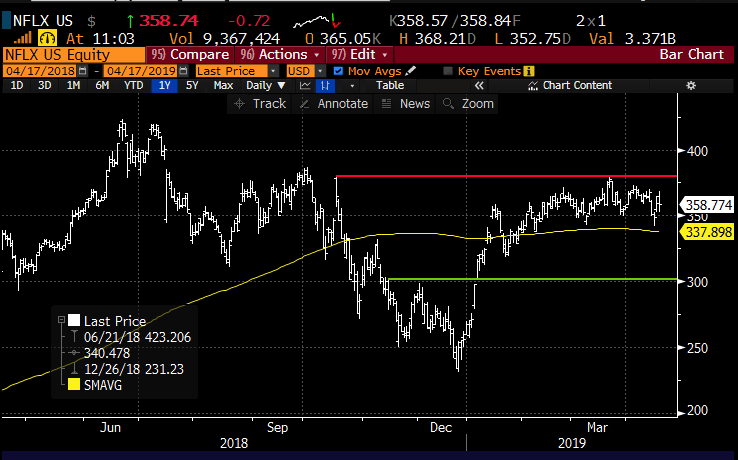 The ideal scenario is that NFLX stock is near 325 on June expiration and the short 325 put expires worthless or can be covered for a small amount and you are left long Oct 325 put for $14 or about 4% of the current stock price. The max risk of the trade is $14 on a sharp move higher than current levels or a sharp move below the 325 strike.